Gail Goossens, Dracut Rotary Club’s newest member was inducted in style at the Club’s Tuesday meeting. District Governor Richard Dietz was on hand to conduct the ceremony personally. 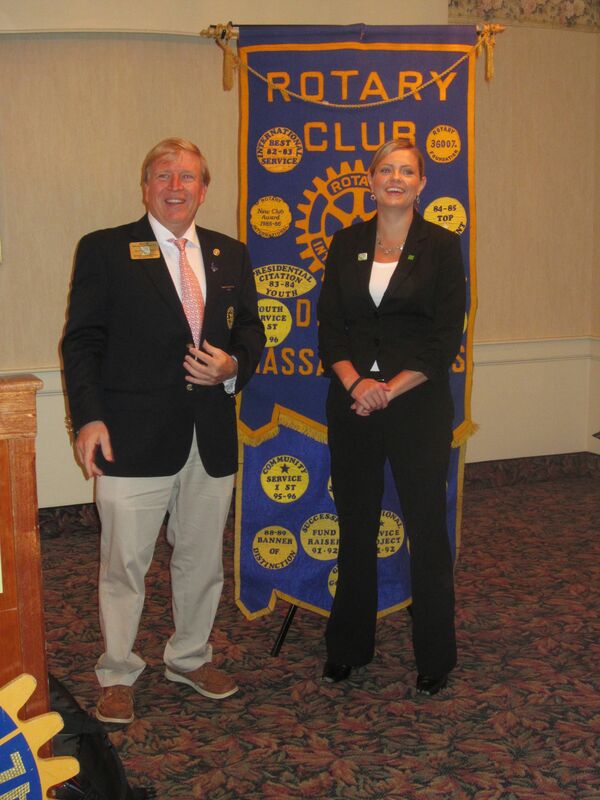 Following a presentation outlining his goals for District 7910 over the coming months, Dietz called on Goossens to commit herself to the mission of Rotary International. Members at the meeting then welcomed Goossens into the Dracut Club. Goossens is the Store Manager of TD North Bank on Bridge Street in Dracut. Her commitment to the community and her wish to serve the people of Dracut and beyond brought her to DRC. “I wanted to become more involved in the community and co-workers suggested I meet members of the Dracut Rotary Club,” said Goossens. According to DRC President, Kathy Boyd, the Club is very pleased to welcome Gail as our newest member.